﻿ [1.0] Rimsenal v1.4: Yes, It's updated edition. 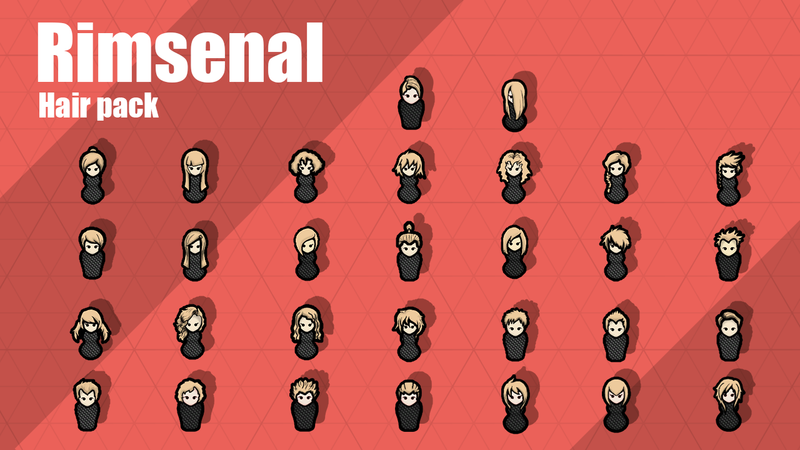 [1.0] Rimsenal v1.4: Yes, It's updated edition. Improvised equipments pack: Homemade pistol, pipe shotgun, scrap armor... and glorious Thunderstick! Xeno beasts pack: Is there anyone want to see a genetically modified cyber-raptor? 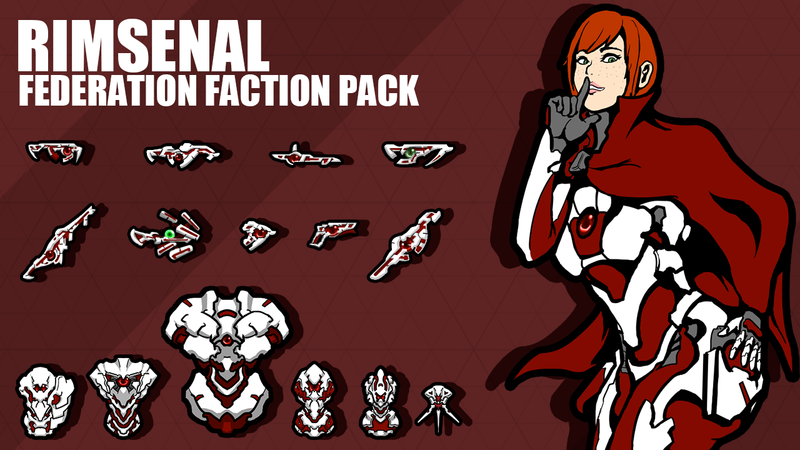 Celestial pack: New faction pack. Adds new xeno human faction, the celestials. My Rimsenal mod adds a variety of futuristic weapons and armors styled after several distinct themes, with different styles as well as in-game effects. 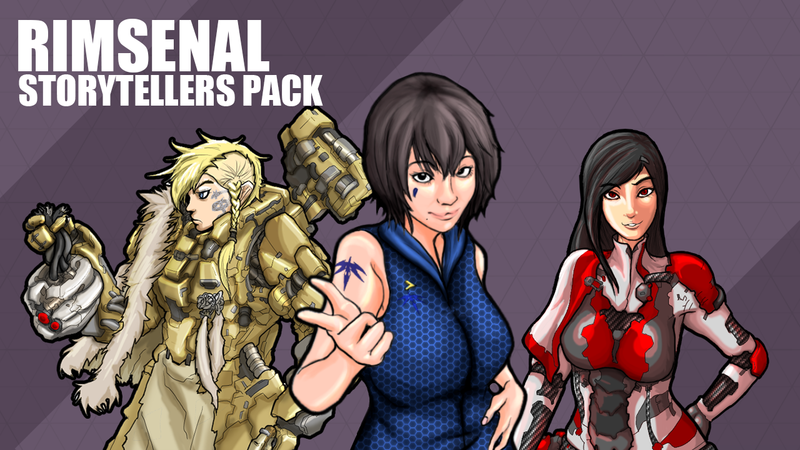 This mod aims to create deeper and more interesting gameplay while simultaneously expanding upon the established lore with additional factions, storytellers, challenges, hairstyles and more! Also this is my first mod and English is not my native language. So, if you find any mistakes please notify me. I would sincerely appreciate your help. *First of all: There will be a no Combat extended patch for the Rimsenal, never and ever. Don't you think the number of ways to we kill each other is too limited? I mean, grab a charge rifle is our best bet to use when we kill someone. Oh, don't get me wrong. It's not mean charge rifles are bad. It's just... There are situations when it's not enough. Let's think about this, new orbital traders are arriving this world recently. Their catalog looks interesting. Shiny new technologies, some advanced equipment, and, yes, a whole bunch of new weapons. Well then... How about to introduce the latest trend of killing on this remote planet. Doesn't this sounds like a killing idea? The Rimsenal designed to increase the tactical diversity of Rimworld and provide richer late-stage combat content. The each four-themed weaponry has its own unique characteristics and promises a wider tactical experience. 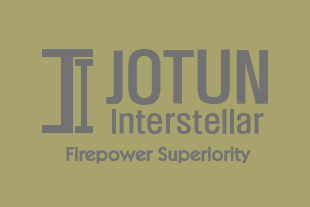 Extended Weapons System: Welcome to four interstellar companies and their new technologies. 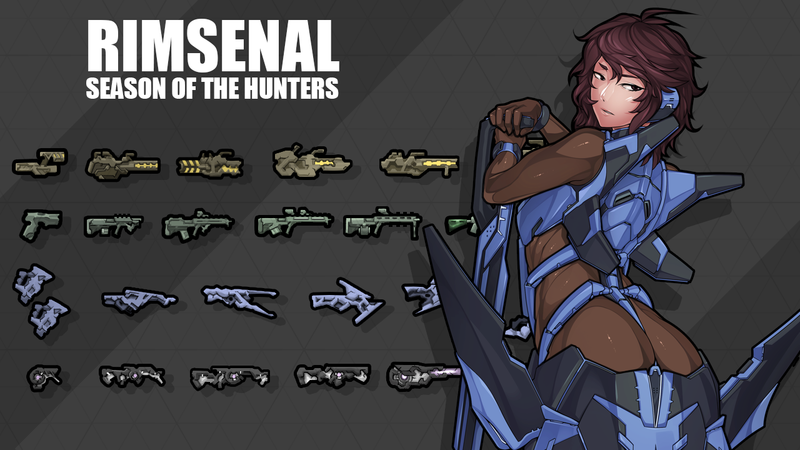 A unique range of weapons and equipment awaits you, such as the Seo-Li shard rifle pouring out crystalline shards like a hailstorm and the Fafnir siege shotgun spewing armor piercing bullets that can pierce thick mechanoid armor. New tactical approaches: Use any means available. 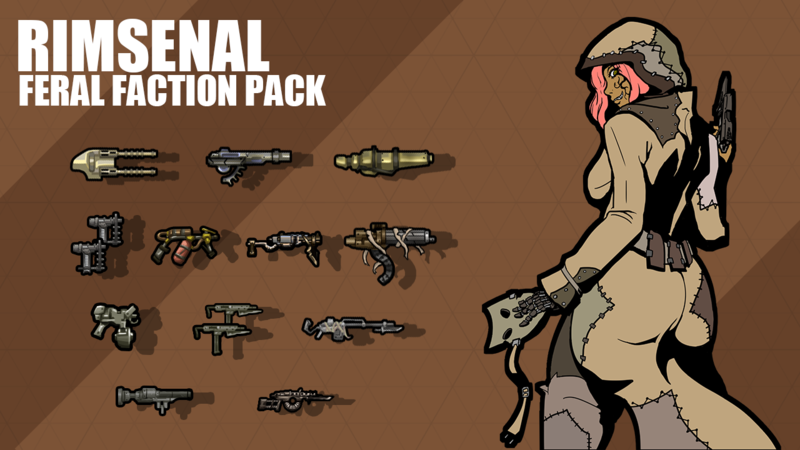 Grab modular weapons to get your best ready and get into battle. Fire smoke launcher to avoid enemy fire, and take the enemies out of the cover with microwave weapons. If there are a lot of options, there are many ways to kill. Balanced performance: The equipment of the Rimsenal is not superior to the vanilla equipment. Vanilla's charge rifle is still a great and versatile option. No weapon on the Rimsenal is perfect. Everything has its own pros and cons. Use appropriate equipment depending on your enemy. Using the wrong weapon against the wrong enemy is a shortcut to total disaster. I'm proud of being a person of good taste. What I mean is, I don’t want to touch those boorish alien guns of mega-corps. If you're a real rim pioneer, you can solve everything with your sturdy rifle. Come on you son of Randy, my shiny bayonet wants to taste your blood! 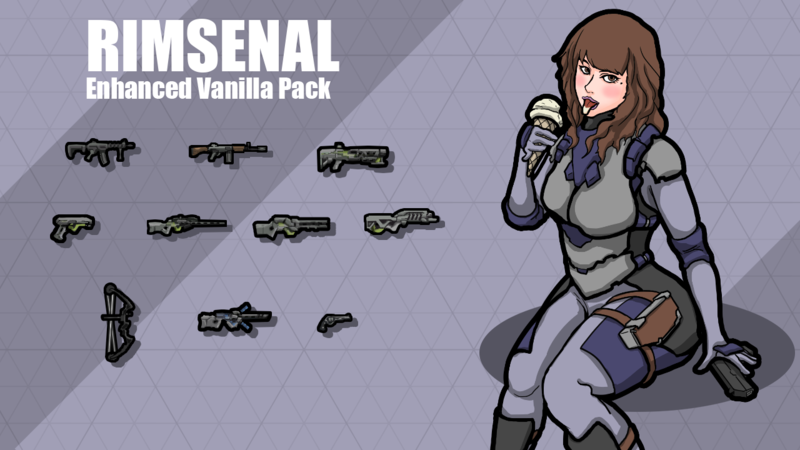 The Rimsenal: Enhanced vanilla pack is designed to provide a variety of new equipment without compromising the unique ambience of the rimworld. The main purpose of the enhanced vanilla pack is to fill the gap between the existing equipment. There are no very unusual weapons or super equipment, but they're enough to keep you survive in the tough rimworld. 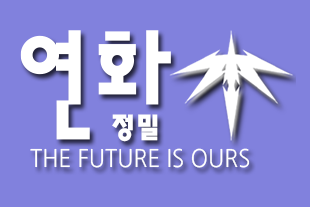 Once upon a time, located in the very core of the galaxy, there was a great and honorable interstellar empire, referred to as “The Federation.” The Federation Peacekeeper Corps was the guardian of the people, and upholding justice was their modus operandi. However, during the long and grim Mechanoid war, things have changed. Freedom and fairness have been trampled in the name of security, and oppression and tyranny both were justified in the name of order. And, as a result, the long war against The Federation began. 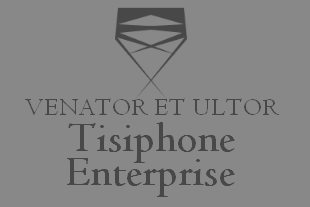 Unused to turmoil that came from within, rather than the outside, The Federation was swiftly torn apart, their armies destroyed, and its government overturned. In a broad sense, its massive empire and its tyrannical army is nothing but yet another historical footnote. The Rimsenal: Federation mod is designed to provide you with an unprecedented form of threat. New enemies are after your settlement. Although they are just the remnants of the broken interstellar empire, they still have power that enough to crush your settlement. No fear and no mercy, elite soldiers and advanced weapons of the federation are aiming you. Can you survive from them? The peacekeepers: The Federation Peacekeeper Corps (FPC) is not your ordinary pirate scums. 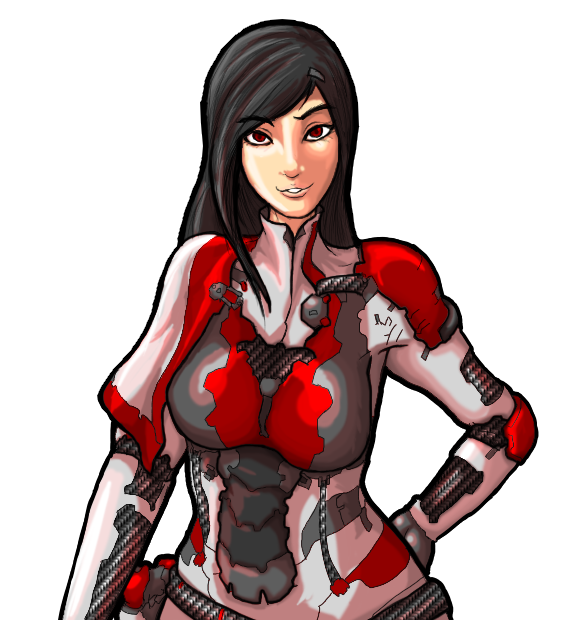 They have a lot of tools to ruin your days such as Bion peacekeepers, incubated creatures that born to kill, numerous conscripted troops and suicide bombers, and the “Federator” mech suit, armored walking disaster. You need to take a different approach to dealing with these highly organized forces. The burning sword: Weapons of Federation Peacekeeper Corps, Arms Dynamics crucible weapons fire high heat projectiles instead of conventional bullets. Because of the self- incineration device fitted to the federation weapons, FPC weapons are can’t be salvaged in the usual way. Instead, you need to reproduce the FPC weapons with the materials from the remains of their weapons. To slay the tyrants: FPC’s foerum armor plates are highly protective against common bullets, but are very vulnerable to blunt kinetic impact. You'd better remember this in order to deal with the powerful forces of the Peacekeeper Corps. There may be other means of dealing with them besides blunt weapons and explosives. You have to give up a lot when you're pushed to the limit. Then how much should people give up if their civilization collapses? Look at them, the ones who had to survive in these ruins of the world. They had to give up a lot of things after all; Technology, culture, history, almost everything they built. Of what they gave up... there was also their humanity. The Rimsenal: Feral mod is designed to introduce new enemies who are unique, yet don't disturb the rimworld’s original atmosphere. The new enemies are coming from ruins and the wilderness. It's not easy to adjust to a harsh rimworld, but they did it in a traditional and practical way. What you have to face is a combination of tribal barbarism and pirates' firepower. If you don't adapt to them, then the fate of waiting for you is to become kebab or sofa. The lost: Feral equipment is neither beautiful nor convenient, but it's enough to kill people. Feral weapons have a short range and low accuracy, but they have high firepower and fire rate. Moreover, the close combat with the feral clans is very dangerous because the most of feral guns have a bayonet to finish their opponent close and personal. The damned: It's not just the bloodthirsty raiders that make up the feral raid party. Various kinds of war beast and mutants follow them, after the bodies and trophies. Because they are not humans, you need to treat them differently. This submod adds three new storytellers to the game, the Accipiter Hysteric, the Sereniz Sadistic, and the Hildegard Epic. Accipiter, a press agent of Yunhwa Precision, has a strange sense of storytelling. In the early stage, she'll take care of you and your colonists' needs until you have a thriving little utopia at your hands. And then? She will destroy you. Ruthlessly. Work quickly, and brace yourself for the trials to come. "Tragedies have their own charm. Please, sit down and enjoy a story with me." 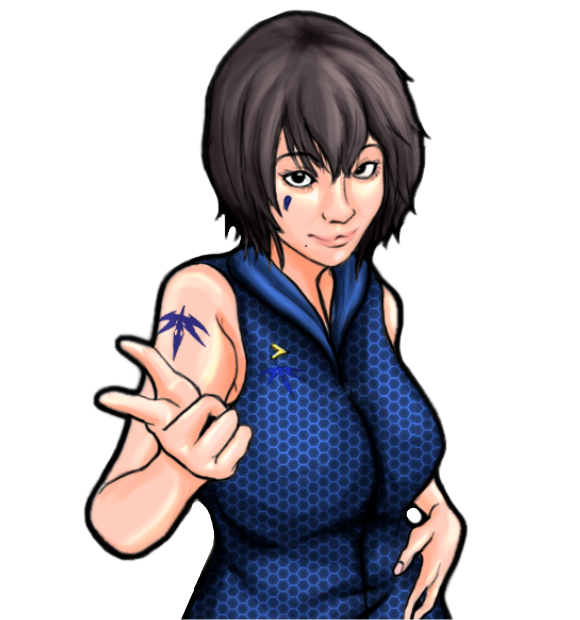 The rogue Federation Peacekeeper Corps commander Sereniz has a mountain of painful stories to tell due to the nature of her former job. In these stories, characters never die quickly; only after writhing in endless agony for an eternity do they finally earn the privilege of death. Those are the only ones she's willing to read - or share. In game terms, she will plague your colonists with a large number of small but persistent threats, while sending less big raids or attacks. 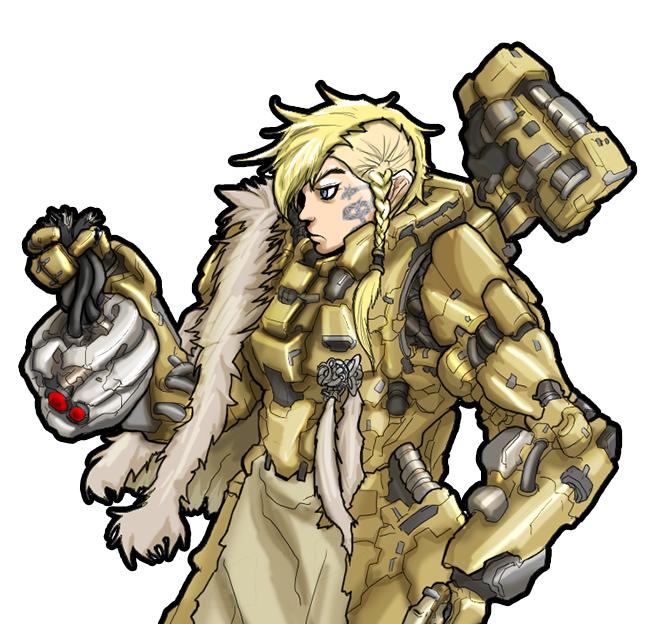 A veteran of the grim Mechanoid war and a skald of the Jotunheim Assault Infantry Corps, Hildegard's songs are full of fire, conquest, and tragedy. Heroic tales of massive battles and painful gauntlets, where soldiers test their mettle against threats that are infinitely larger than themselves. In game terms, this means that she will send fewer small annoyances, and will create larger, bigger threats, like raids, sieges, and of course, mechanoid attacks. You know, it's not a convenient environment to live in this remote world. Hordes of wild savages, damned space pirates, crazy killer bugs, aaaand Mecanoids, yes, those freaking chewers. We can't live with them, We must do our best to keep them away from here. So get everything you can use. It's better if it's cutting edge. Let's do our best and show them hell. 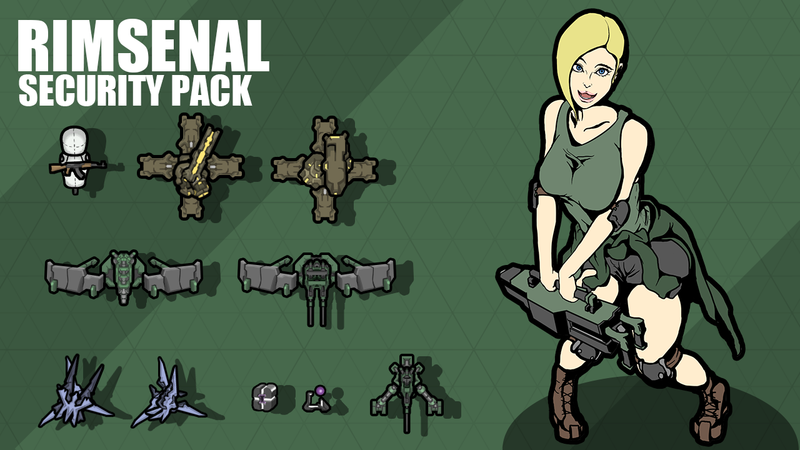 The Rimsenal security pack is designed to provide Rimworld players with a wider range of tactical defense options. In addition to a variety of high-performance defense emplacements based on the Rimsenal’s cutting edge technologies, new and unique defense assets await you. Diversified defense choices: Try different defense assets. Advanced weapons of interstellar mega-corps such as the anti-mechanoid cannons, automatic grenade launchers, and long-range surveillance turrets are now yours. 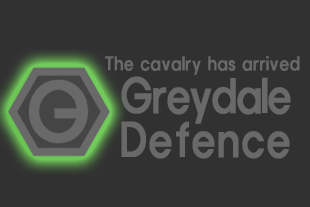 New defense tactics: Defense doesn't mean hiding in the dark and shooting blindly. Attract enemies with baits and concentrate fire. And don't forget the big red barrels full of inflammable. Russian Santa556 for rewrite description. duduluu and Biscuit for Chinese translation. DAMN!!! This loosk badass to max man!!!! The design looks so perfect!!!! *gibberish* I know i'm geeking out but this so so frickin awesome! Awesome work! really good looking and particular weapons! May i suggest something to add from this point? Oh, I see. Now I'm thinking about some kind of 'Instant sentry gun'. Oh my gosh dat textures That's incredible, your mod looks very interesting, I've downloaded it immediately. And that hair is so cool, too! I'll keep on improving my mod. Just downloaded this, it appears to be missing the texture for the 'Chill' SMG. Oops, my mistake. I just added it. A lot of your traders are arriving with nothing but medicine or only 1 or 2 weapons. These are some badass lookin' armors, nice work rooki1! Btw, do you intend to make all the body armors to be inherently hot to wear, especially the Siege armor? Their is a suggestion to "upgrade" your mod in something else.